Edelweiss Tokio Life Insurance resorts to humour to communicate its need-based, customised service. Leaning towards black humour in a slightly exaggerated manner, the latest television commercial (TVC) for Edelweiss Tokio Life Insurance has taken a cue from real-life situations to highlight its customised offerings. While in its earlier campaign 'Now You Can', Edelweiss Tokio Life emphasised on its role to support the dreams and aspirations of its clients through its varied portfolio, through the new campaign, it focuses on its life insurance segment. 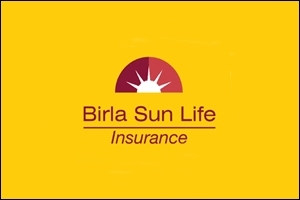 The communication is built around the tagline, 'Insurance se badhkar hai aapki zaroorat'. The television campaign highlights how Edelweiss Tokio Life's insurance advisors genuinely listen to their clients' needs and requirements before providing customised advice. Conceptualised by Contract Advertising, the three creatives, titled Doctor, IT and Couple, are produced by Native. In the Doctor TVC, a patient consults a doctor for an eye problem. The doctor, however, advises him to get an X-ray and blood test done from a particular place. When the patient asks about the eye problem, the doctor tells him to splash some water. The ad ends with the message, 'Zaroorat kuch aur, salah kuch aur'. The ad is a commentary on the healthcare scene today. The other two creatives also communicate the need-based advisory role of the company. Ashish Morone, vice-president and head, marketing, Edelweiss Tokio Life Insurance explains that the campaign's aim is to establish Edelweiss Tokio Life as a strong contender in the life insurance domain. 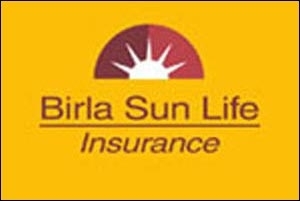 "The campaign was based on our core organisational philosophy of a need-based approach in offering insurance solutions. So, our brief to the agency was to communicate that Edelweiss Tokio Life will understand the customer's needs first and only then offer insurance solutions," he says. Based on market research, the company found that there is a huge gap in comprehending the real needs of the consumer, which are not addressed by any life insurance company. The research also revealed that most customers find insurance too complex a financial instrument and look for someone who understands their needs and suggests the right products in a simple and transparent manner. Edelweiss Tokio Life, therefore, aims to bridge this gap, Morone adds. Explaining the change in campaign tactics, Morone says that the earlier one was a brand campaign for the Edelweiss Group. Its focus was to establish the brand's presence and its various financial services. "The current campaign aims to establish a strong differentiator for the life insurance services brand, Edelweiss Tokio Life Insurance. We have used real-life situations and a touch of humour to establish a strong connect with our audience," says Morone. Speaking about the execution of the TVCs, the official spokesperson of Contract India says that since Edelweiss Tokio is the 24th entrant in the life insurance domain, the agency faced the challenge of showcasing the distinct position of the company in this space. Hence, it reached out to the audience at an emotional level. "We realised that a major pain point for most consumers was that agents sell insurance without understanding their exact need. Most consumers felt unsure and under pressure while dealing with insurance agents. They felt the agents put their own interests before the customers and hence, were unsure if the policy they have bought is indeed the right one for them," the spokesperson says. This resulted in the campaign tagline, which encapsulates consumer's needs and suggests policies that are appropriate for their needs. "We were very firm that we wanted the situations to be as real and relatable as possible, to connect with the consumers," he adds. Edelweiss' ads highlight the process of insurance purchase rather than the end result or benefits post-purchase, the spokesperson says. The TVCs target people in the 26-40 years age group living in urban and semi-urban regions, middle-class, married men who are parents, ambitious, hardworking, risk averse and looking to invest money wisely. Besides television, the ads have been launched on the digital platform and are being shown in movie theatres. But does the sense of humour, especially in a segment that is a serious matter of consideration, really help the brand communicate its core thoughts? Meraj Hasan, vice-president, strategic planning, Everest Brand Solutions, says that similar approaches have been tried in the finance category, which had boring content and poor execution. "Perhaps, the category's need is to make the insurance agent (and the company) fair and transparent in their advice/promise, especially when majority of India has blind faith in LIC (and its agents)," he says. Even though the TVCs convey the message successfully, he adds that "other insurance companies are also talking in the same language." Mahesh Parab, executive creative director, DDB Mudra, says, "The commercials are funny but somehow the communication seems a little gimmicky. The idiot box is already full of high-on-emotions and serious insurance commercials by other players and I think the effort was to break the rut of the category. But I don't think 'Funny' is the answer." He hopes that people will enjoy the light-hearted approach but adds that there isn't any drastic change in the treatment.